and my findings,well let us get into it. 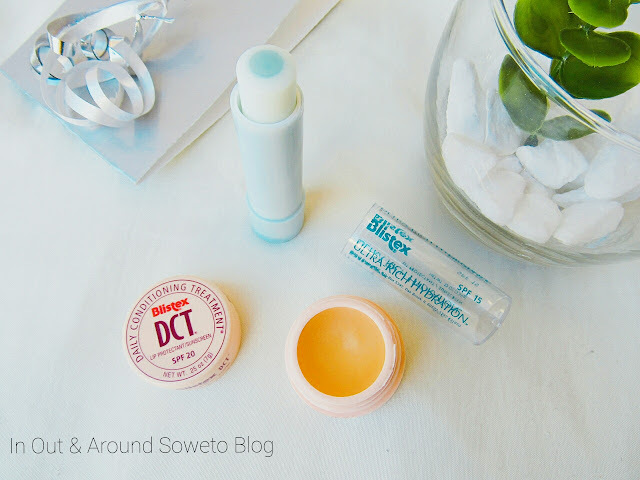 Blistex claims the following "New Blixtex Ultra-Rich Hydration Balm is Lush protective formula fortified with wheat germ oil, beeswax and ceresin for smooth conditioned lips". 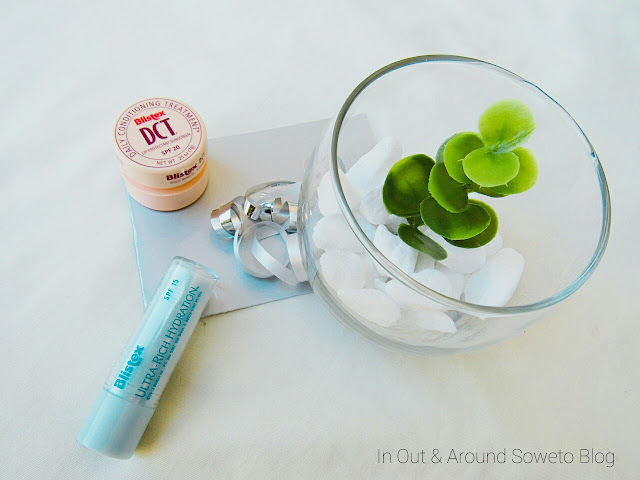 The Blixtex Ultra-Rich Hydration balm comes in a clear revealing cap, and has a distinctive blue inner core, which makes it simple to find in an aisle filled with other lip balms. The balm has ingredients such as Shea Butter, Cocoa Butter, Olive Oil and Jojoba (which I always thought it was Jobajoba); all the ingredients fit in my criteria of what makes a lip balm smell great, which will enable me to use it on the daily. When you apply it is clear and actually smells great and lasts on the lips for about 6-8 hours on just one application. The down fall here is the retail price of R85 bucks, but I guess we are also paying for the SPF 15 that comes with it as other lip balms in this range don't come with any SPF.